Because we care about your household's health, our health, and the well-being of the environment, we are committed to using chlorine-, ammonia- and phosphate-free products. Even though it may take a bit of extra elbow grease on our part, we are able to get the job done without subjecting everyone to harmful chemicals. 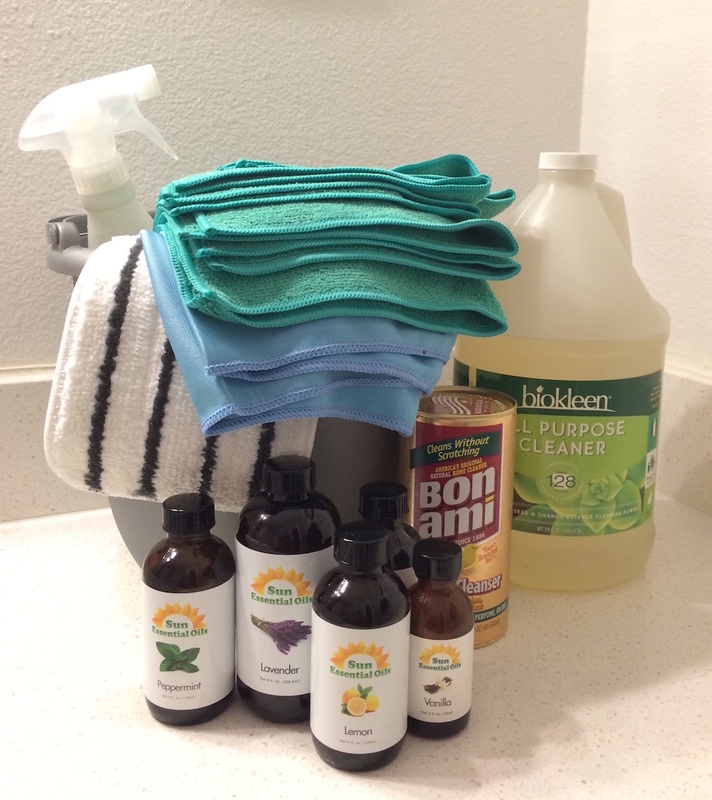 We provide each home with an initial cleaning supplies kit for a one-time fee of $30. It includes our signature all purpose and glass spray that uses a Biokleen concentrate with added essential oils, which we refill free of charge, as needed. We use all natural Bon Ami powder--a reliable cleanser for over 120 years--to scrub sinks and toilets. Additionally, we use sponges, washable microfiber cloths, glass cloths and a mop pad, as well as an electric grout scrubber.